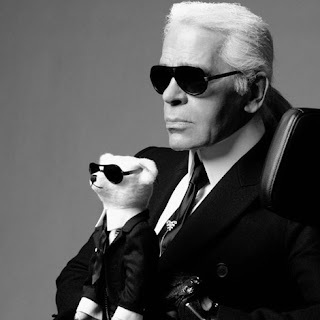 I can't seem to take Karl Lagerfeld seriously after reading Fake Karl and a Kaiser Karl teddy bear isn't helping this situation one bit. 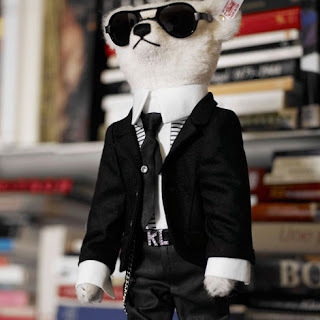 Famous German toy brand Steiff and Karl himself have collaborated to create this masterpiece. And with a price tag of $1500, I can't help but laugh!